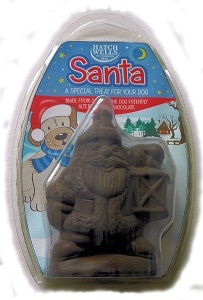 Special Santa treat for your dog made from carob – the dog friendly alternative to chocolate. 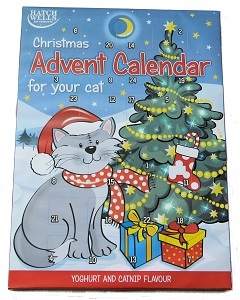 Tasty yoghurt and catnip flavour Advent Calendar for your cat to enjoy on the countdown to Christmas. 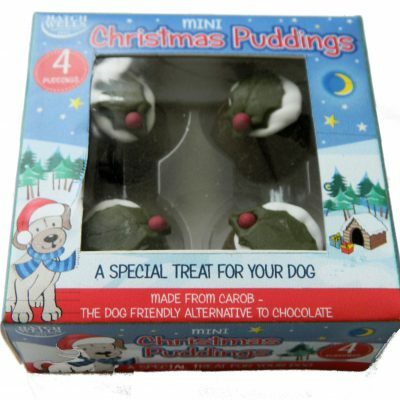 Special treats made from carob – the dog friendly alternative to chocolate. 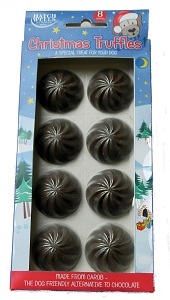 Special dog truffles made from carob – the dog friendly alternative to chocolate. 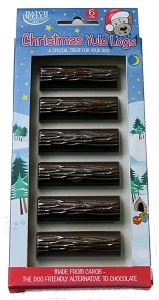 Special Yule Log treats made from carob – the dog friendly alternative to chocolate. 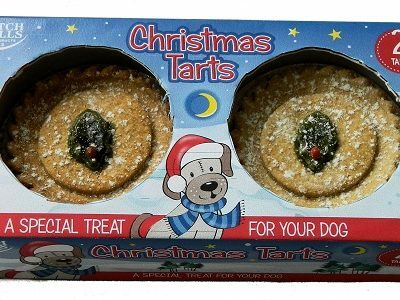 Treat your dogs on the countdown to Christmas with these Advent treats made from carob – the dog friendly alternative to chocolate. 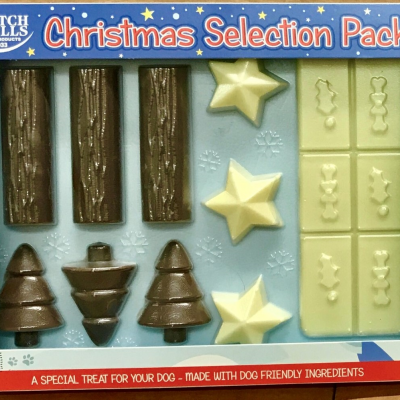 Treat your puppy on the countdown to Christmas with these Advent treats made from carob – the dog friendly alternative to chocolate. 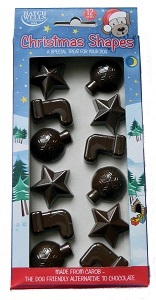 Added Calcium will help form strong bones and teeth. 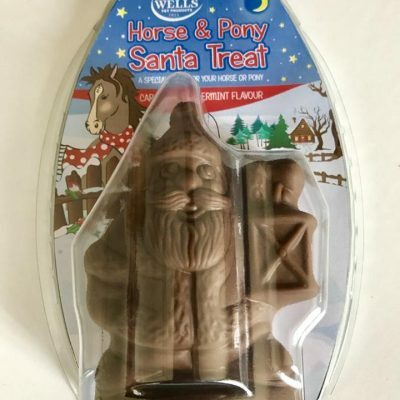 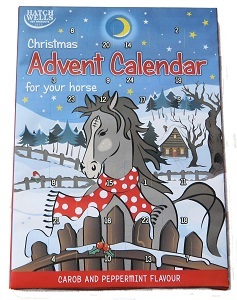 A tasty carob and peppermint flavour Santa for your horse or pony to enjoy. 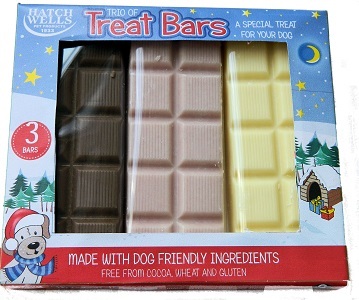 Delicious dog treats in a Selection Pack made from dog friendly ingredients. 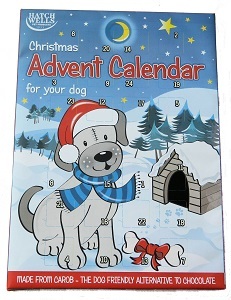 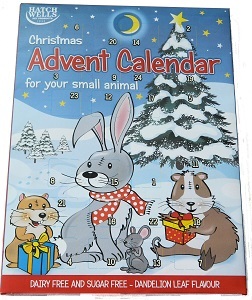 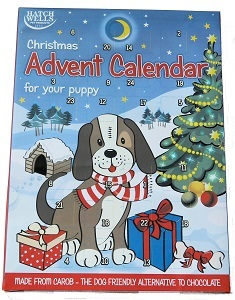 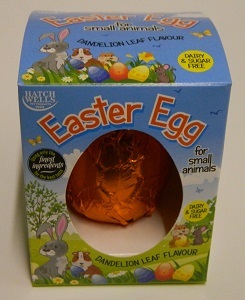 Tasty dandelion leaf flavour Advent Calendar for your small animals to enjoy on the countdown to Christmas. 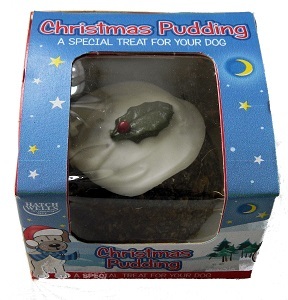 Delicious dog treats including carob, and, yoghurt with cranberry flavours. 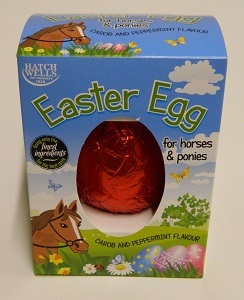 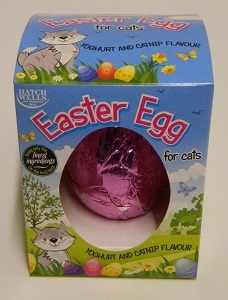 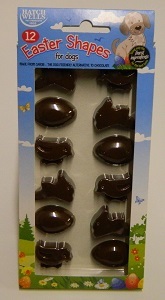 Tasty carob and peppermint flavour Easter Egg for your horse or pony to enjoy. 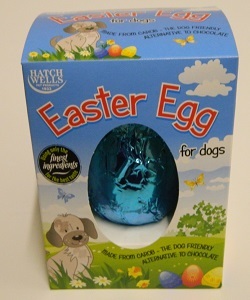 Tasty Easter treats specially made for your dog from carob – the dog friendly alternative to chocolate. 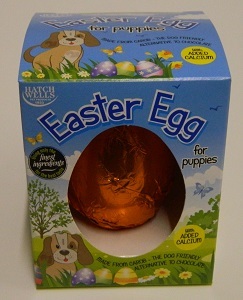 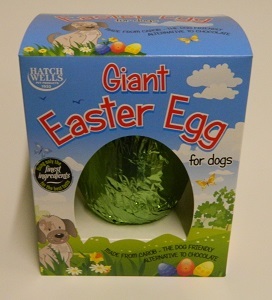 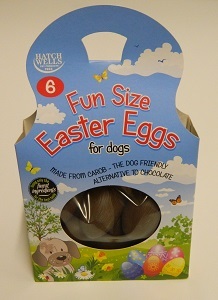 6 small fun size eggs specially made for your dog from carob – the dog friendly alternative to chocolate.